And then the best of the Northern hemisphere vs the Southern. Disastrous wrote: Serious question but is it not really normal to have a glass of wine with your evening meal? If not, the. What?? Your only options are water or fcuking 'juice' like a child. TEA. Except you're a pervert who doesn't like it. I've just realised I haven't had a drink since Sunday. The last time this happened I ended up not drinking for several months - probably due to my habitual beer intake and my inability to attenuate anything unless I full-on stop. I wonder how it will play out this time? I was going to say "me too" but then I remembered that there have been at least a couple of bottles of beer and a bottle of wine since the weekend. Will be drinking lots during the rugby this weekend. Ha! That didn't last very long. I've just had a beer; a whole afternoon failing to buy a simple half-glazed door has proven beer-inducingly annoying. Last edited by Damien Thorn on Sat Mar 11, 2017 6:00 pm, edited 1 time in total. I have recently discovered Seedlip and it's really, really good. It's a non-alcohol, zero calorie spirit. There are two flavours, a spicy one and a garden one. The former is good with tonic and a slice of pink grapefruit and the latter with tonic and cucumber. You know when you don't want to drink alcohol but you want A Drink and the ritual of making one? This is great for that. Try it! Except for Rod that is, as he is a pisshead. Clown Ice Skater #4 wrote: You know when you don't want to drink alcohol but you want A Drink and the ritual of making one? Yup, that makes sense. Been on a detox and I am gasping for a drink. And I think espresso or tea beats your idea I'm sorry. I expect it tastes nice, Clownice, but "non-alcoholic spirit"? The trouble is, without alcohol I'd probably neck have a bottle just to slake my thirst, and then what? I dunno. Just sit there, wishing I had a REAL drink. Good news for the CTF Scottish collective! There's a new mobile phone app to help you find your Buckfast. Lurgan Mail wrote: The aptly named ‘Find me Bucky’ app was recently launched by website ‘Wreck the Hoose Juice‘, which is run by fans of the alcoholic drink, nicknamed ‘Lurgan Champagne’. 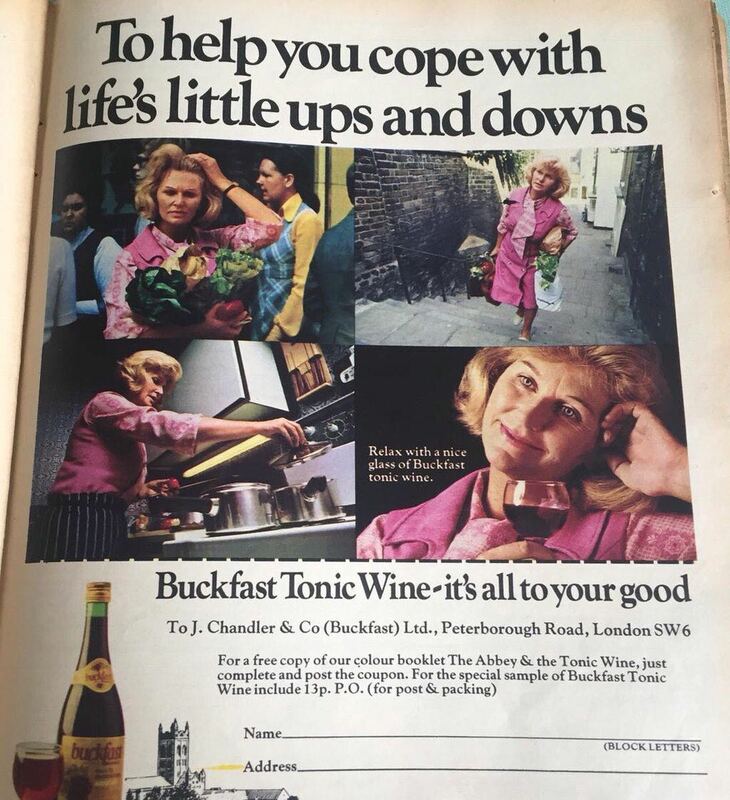 It read: “On holiday and quenching for a bottle of Bucky? At home but want to find out where the cheapest place is to buy Bucky near you? “The missus has you away for the weekend with the in-laws but want to sneak off for a tipple of tonic? Well we’ve got the answer for you.” The team behind the new mobile app, which costs 99p, say it will use the current location of anyone using it to pinpoint them on a map, before displaying where the nearest Buckfast retailers are and how much they are selling it for. I bloody love this at the moment! Lidl do similar for about 30p a bottle, I've always got some in the fridge this weather. Hooli wrote: Lidl do similar for about 30p a bottle, I've always got some in the fridge this weather. Sainsburys' equivalent tastes better than Morrisons. Try it DT. How are your headaches this morning, the Glasgow contingent? Given up booze for October. Yeah it's going pretty well. 1 October was a Sunday, though, and as I was at a concert I have a couple of G&Ts. And two beers of course. And a glass of wine. But last night I had nothing at all! Mind you, I have a function on Friday so I'll probably have a few drinks then. It's a bit of a celebration so it would be rude not to. Also I might give myself the weekend off not-drinking. Including Sundays. Feeling pretty pleased with myself! I'm only drinking at the weekend nowadays (includes Friday night, obv) and feeling pretty no different at all! Damien Thorn wrote: Well done Rod! Yeah I gave up booze once for a month before. Last year maybe? Or the year before? No idea. I felt as dreadful as I had done before giving up the booze, last time I gave up. In other words - no better. This time around I feel marginally less wretched. spast1kunt wrote: How are your headaches this morning, the Glasgow contingent? Nothing wrong with Bucky and Bru. What has happened to me ? Have I grown up ? Have my taste buds finally matured ? Are my teeth/gums too frail ? Chilled drinks only for most of my life, tried a nice red once a year for may years but just couldn't get into them. Roll back 6 months, the odd glass of red starting sneaking down, now its red, red, red ! I was given a glass of white (a nice one too) a few days ago and I struggled to get it down. My only purchases are red now, but summers coming, oh no am I bi ? My champagne taste hasn't changed I should add , just stills I'm rejecting . Here are the beers I have in the flat. Some of these Iv'e had before, so I know I like but there's a few new ones in there too. The first one is the one on the left in the above photo, unfortuntely, it had no label on and no markings on the bottle or bottle top. So it's the unknown beer. It was a deep reddish brown colour, strawberry beer. Smelt nice, quite fruity. IT also tasted really nice, a bit like alcoholic vimto but in a good way. Not in a bad fruity ciderish way. Very drinkable but doesn't really taste like you are drinking beer. I would give it 7/10. I wish I knew what it actually was. It had a purple bottle top. Despite liking it I couldn't see me ever ordering thus when out, its too sweet to drink a lot of it. I also can't imagine it going well with any food, again with it being so sweet. So even though I pike it not sure why it exists. I just noticed the Goose IPA with the green label has snuck in their twice! Last edited by stuart on Fri Dec 29, 2017 10:33 pm, edited 1 time in total. 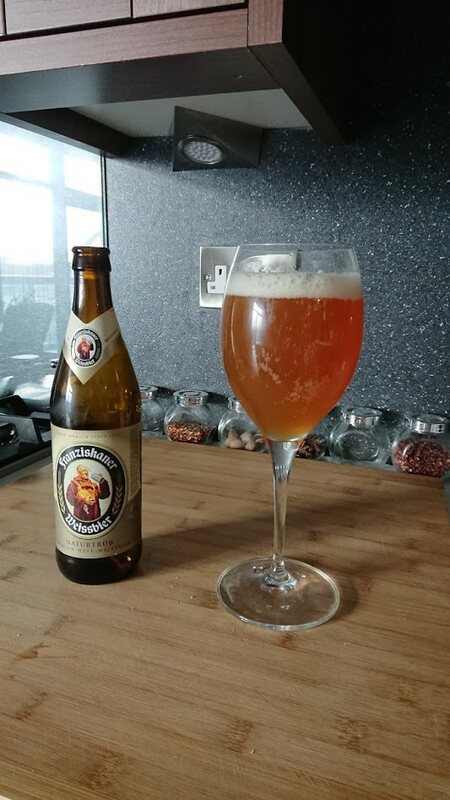 The Sainsbo Czech is just re-labelled Staropramen I think. You're not going far off the beaten track with most of those choices, but at least it's not Tennants. The fruity one was probably Bacchus. CJ+ wrote: The fruity one was probably Bacchus. minimoog wrote: You're not going far off the beaten track with most of those choices, but at least it's not Tennants. Yeah, it's what I've ended up with via some xmas gifts. A bit thinner than the Weinstepher but still good. 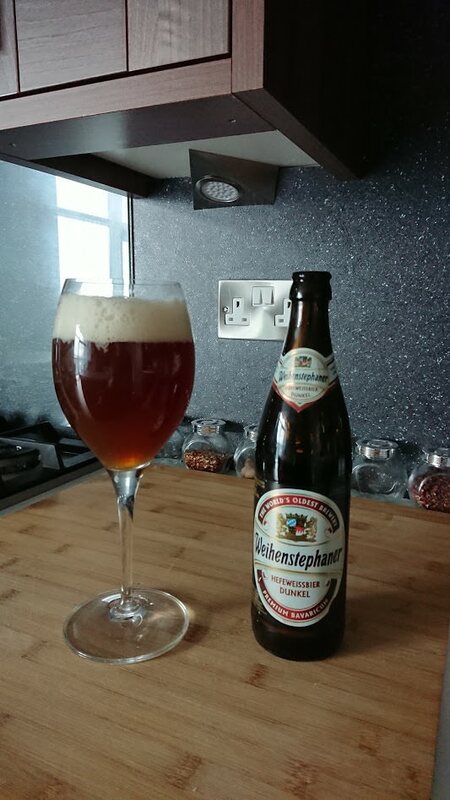 Very drinkable and only £1.80 a bottle, compared to £2.80 a bottle for the Weinstephaner. It seems cheap wheat beer is significantly better than cheap regular beer. IO have been chasing the perfect Old Fashioned for a while now. I had one recently in a bar which was pretty nice and had a touch which I have added and one that I missed because I took my eye off the bartender. The basic: double old fashioned glass, small teaspoon of granulated sugar about the volume of a cube, and a dash of Angostura bitters. Add a tiny amount of water and stir so as to dissolve the sugar. Then add a lot of ice, some rye bourbon, and a slice of a juicy orange. Stir well. Pretty good, but not perfect. Mod #1: a maraschino cherry as a garnish. Mod #2: a dash of the stuff that the maraschino cherries float in, added after the bourbon and before the stirring. This was the one I saw the bartender pull. It works. Mod #3: swapped out Knob Creek Rye for Elijah Craig non-rye. Better. The KC is too rough (at 50% by volume and distilled to give a "pre-prohibition" flavour that isn't surprising). The Elijah Craig is smoother and has more caramel in it. But really the trick isn't in the type of bourbon. Mod #4: once the orange has been sliced pour in the stray juice from the board. That's moving in the right direction. Mod #5: Dispense with the slice of orange and juice. Instead cut a small slice of peel about the size of the top of your thumb, and add a drop of curacao. Not sure this works. Mod #6: this is the one I didn't see the bartender doing clearly enough. Muddle the sugar and Angostura with a bit of orange peel, and remove the orange when done. This should give a nice orange hint, but when I try it I end up with little itty bits of mashed orange peel in the drink because the muddler destroys the peel and I can't get all the bits out. The first three mods are locked in now. I think the next effort will be to add some drops of orange juice from a cut orange (but not flesh or peel) when dissolving the sugar and Angosturas, instead of the fourth to sixth mods. I've tried Gentleman Jack which tastes industrial, and a Rye whiskey (not bourbon) which is overpowering. Might try Woodford Reserve next, which I think is what the bartender used. I *need* to conquer this recipe because soon it will be hot hot hot and I will move to mint juleps instead. So it's really very urgent and important, you see.